ID+M is an internationally award-winning industrial design firm, headquartered in San Diego, California. ID+M recognizes the importance of integrating innovative design and engineering processes together with critical marketing criteria, thus ensuring that a product is commercially competitive and uniquely positioned in the marketplace. Our areas of design expertise are computers and advanced applications, consumer products and medical devices. We are an aggressive, dynamic, smart and budget conscious group of designers and engineers with a client base that ranges from the U.S. to Japan to the Middle East. We take a great deal of pride in our work. Using boundless creative energy, we search, research, invest, identify, integrate and implement the best possible solution to match your expectations and guidance. Since time to market is so critical, we at ID+M do not waste your time nor our time with fancy presentations, arm waving and endless discussions over a Latte. We hear you the first time and we move fast to give your products and services the competitive time edge so critical to their success. We value your monetary investment in the project. We respect and honor your own financial needs, budget requirements and constraints, and we thrive to give you the most for your buck. At the end of the day, we make sure our design solutions are not only innovative, technologically superior, aesthetically pleasing and are reflective of your expectation, but are also manufacturable and reliable. We stand behind our work. We are here to assist our clients, not to take over their projects nor to force them into design oblivion. 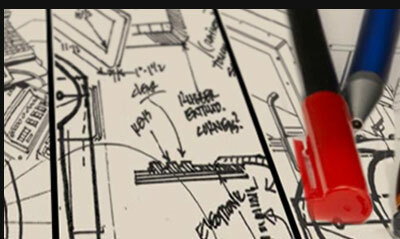 We value and encourage an open, intelligent and free dialogue with our clients throughout the design effort.